Nagory Foster offers a state-of-the-art Weigh In Motion (WIM) system building on the solid foundation that the WILD detector has provided the industry for more than 20 years. The WIM system provides accurate vehicle weight. It alerts on overload, side-to-side imbalance, and end-to-end imbalance conditions. 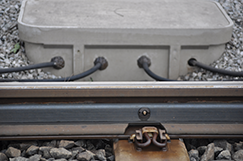 Available as an add-on capability to the Wheel Impact Load Detector or as a stand-alone wayside installation, the Weigh In Motion system is a must-have for any railway. 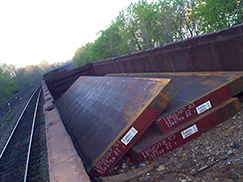 Nagory Foster’s Weigh In Motion is a low-cost solution that can reduce derailment conditions and infrastructure damage by detecting and alarming on overloaded or imbalanced vehicles at track speeds. 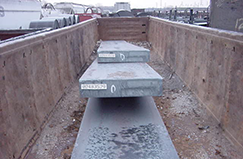 Using statistical analysis of multiple vertical load measurements recorded by the detector, an estimate of the static weight of a rail car is derived to determine if the rail car is overloaded or imbalanced beyond safe operating limits. These systems are stand-alone, strain-gage measurement arrays like the WILD, which cost-effectively monitor vehicle weight and detect weight-based alarm conditions. 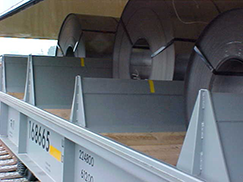 Nagory Foster’s Weigh In Motion system reduces the need to take individual rail cars out of service for weighing. Low speed or revenue-scale weigh in motion systems command a very high price and require special vehicle handling, which usually will require out-of-service operations. Nagory Foster’s high speed Weigh In Motion systems provides an alternative to weigh bridges by delivering a +/- 1% weighing accuracy over 95% of the time for a fraction of the cost.